I’m currently researching the concept of ‘digital mindfulness’. I delved into this a few months ago when I was preparing some content for an in-house workshop with a business who had asked me along to talk about creativity. It was part of a workshop which included other elements but as I researched and read and thought, I realised that the whole concept is deserving of a workshop and possibly a short e-course itself. And so the research continues. So what do I mean by digital mindfulness? To me, digital mindfulness is a way of using digital technology for its best uses, being aware of the pitfalls and being mindful of the ways in which we use digital, especially social media, email and messaging, and especially being aware of the reasons and emotions behind our uses and our habits. To be digitally mindful, we need to understand our impulses around digital, our habits (conscious and unconscious) and we must try to create the best way to use digital media for us. Not for anyone else, for us. You might have come across the less appealing term of ‘digital detox’ and there are similarities and differences. But I feel the mindful approach rather than a detox mindset is more appealing to me. I am not an addict (some might disagree!) but even if I were, detox seems quite negative and like removing something, rather than adding something to life. And let me say, just for the record, that I am a big fan of digital media and communication, I think it has huge benefits when used wisely and mindfully and can achieve great things. I have learned so much and met some wonderful people during my time online, many of whom are real life friends and supporters now too. I have no time for the wearily fashionable anti social media brigade who seem to delight in finding it all so deliciously beneath them. But being online isn’t without its drawbacks. A friend of mine once came off Facebook for a while when she realised that every time she took a picture she was wondering whether to post it and what kind of response she might get. This realisation made her feel uncomfortable and to challenge her own behaviour and the WHY of that behaviour. Another friend confided that if her instagram posts didn’t get any likes or comments it made her feel down and/ or doubt herself. A chat with a business acquaintance recently revealed that her children (aged 8 & 10) had real difficulties adjusting to being without wifi for a few days when their internet connection went on the blink. And when I asked a roomful of bright, creative young professionals recently what they did first when they woke up, over 80% of them confessed they checked their phone for messages and social media likes, even before using the bathroom. And when you look at it like that, none of the above looks particularly healthy. And I’m the same. Whilst I do love my online world and communities and love the people I connect with there, some of them dearly, checking work emails before 8am whilst boiling eggs and making toast, or chatting on Facebook or sharing a blog on twitter when I ought to be sleeping is really not good for me. And I am becoming increasingly aware that my attention span is a lot shorter than it used to be, which concerns me. I recently spent a couple of days in the wilds of Northumberland with my little family and there wasn’t even a mobile phone signal let alone wifi – so we couldn’t go online, text, call, check emails. And it was brilliant. We played, walked, cooked, rested, read stories and books, toasted marshmallows and just enjoyed each other’s company. And I felt relieved that I had been removed from all other distractions – we truly had a magical time. So, if we feel overwhelmed or over attached to being online, what steps can we take towards a more mindful relationship with our phones, tablets and laptops? Firstly I would recommend removing all digital communication for a short period of time – as long as you like really but I think a minimum of 48 hours would work best. This is the best way to be able to step back and notice the feelings and emotions and urges which come up when we cannot use our digital tools and take part in our online lives. Over a short period of time you will quickly become aware of what how being disconnected in this way makes you feel, what habits you had slipped into and what role your use of social media, emails and the like have in your life. But if you only have 24 hours that should be enough. A temporary restriction or removal of our digital world will have different implications for different people. Some would find it easy, others might, for work purposes, find it nigh on impossible. But I feel to truly be able to set ourselves new rules and standards around our digital use, we need to work out where we might currently be going wrong and being less than mindful in our use. It’s not enough to restrict ourselves and push on through, it’s always best to try and know ourselves better first so we can plan our digital use for the future more fully. So this coming weekend, because it’s a long bank holiday one in the UK and I will be taking a break from work, I am going to go off line for 4 whole days. To see what happens. I have of course done this before; when we go on holiday for example I log on a lot less, especially when wifi etc. isn’t easily available. I also regularly use the freedom app/website to restrict my use when I need to focus on a work project or just feel aware that I need to switch off and don’t quite trust myself to follow through! I will have to leave one email account on for the holiday cottage I own as often people get in touch to book and I’m not going to be foolish enough to miss out on bookings. However all other email accounts will be off. 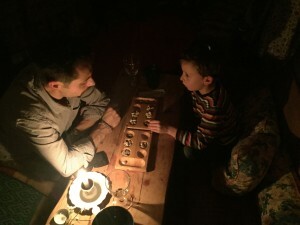 There will be no social media, no internet browsing, no TED Talks, no downloading podcasts and I’m asking my 7 year old to keep me accountable by only allowing internet use if I need the answer to a question that I have no other easy way of answering (opening times of a venue for example). And by the way, he is going to be super pleased I am doing this challenge! There is nothing more annoying to a child than a parent with their head buried in their laptop or scrolling their phone. FOMO – can I turn it to JOMO? What is everyone up to? Did I miss something crucial? An urge to surf and find a video or podcast to occupy my mind – I love learning and new ideas but guess what! Books! But what might other consequences be? Being more able to be in the present moment, with the people I am with, even if that is just me. Or the dog! Less distraction, additional clarity of thought – killer ideas! killer ideas come when distractions are removed, that’s just a fact. So, want to join me? 1. remove social media apps from your phone – it’s too easy to just click on them without thinking. 2. unless you need it as, you know, a phone, pop your phone out of sight and in a drawer. 4. Turn off any notifications on everything. Do this anyway, notifications are terrible distractors. 5. Disable email accounts in your phone settings so they don’t come through. 6. Get an accountability partner so someone knows and you’re not tempted to log on for just a sneaky look! If you do join in, I would love to here how it went for you and what you realised about your digital habit and the emotions and urges around it. You can share these in the Facebook group. Other people are switching off this weekend too and when they are back they will be using the hashtag #enjoytimeoffline on instagram to share the images of what they got up to on their digital free weekend, so you can also join in with that too once you are back online. Whatever you are doing, wherever you are, I hope that you have a joyful and restful weekend. See you on the other side! 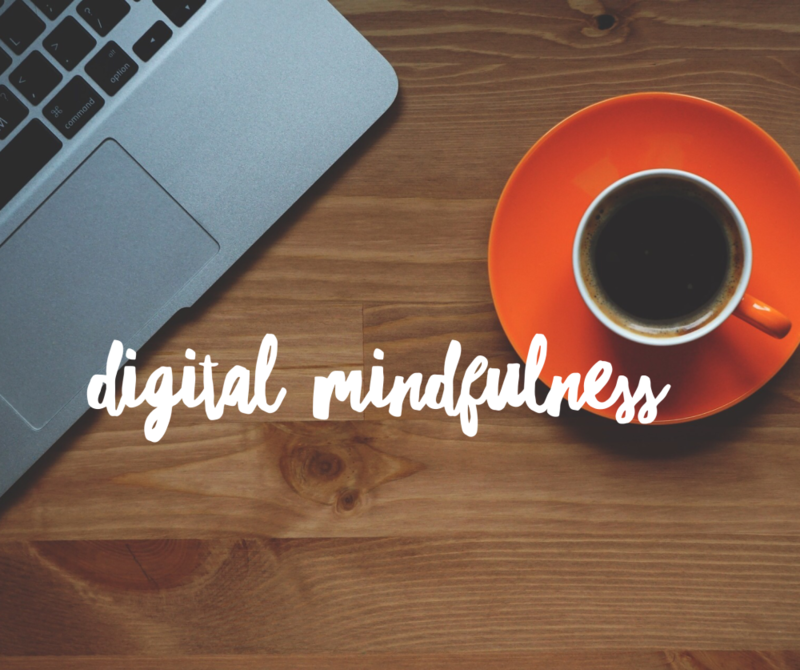 Yes I agree, the term digital mindfulness is a lot more appealing than digital detox. Thanks for giving me some food for thought and I will explore my version of this, this weekend. Sometimes I will go offline for quite some time, especially after intense online courses that had me engaged for quite some time and feels Es especially good to reduce the digital intake to be able to process all the input. I’m so sorry that I just saw this! thank you for your feedback, I’m so pleased that you benefited from it. I don’t think you are on my mailing list, if not, I’d love you to join so I can send you extra articles and free gifts that I am making for my community. thanks again Fiona!